Serum parathyroid hormone (PTH) was associated with increased bone turnover markers and cortical porosity of the inner transitional zone at the proximal femur. These results suggest that PTH through increased intracortical bone turnover leads to trabecularisation of inner cortical bone in postmenopausal women. Vitamin D deficiency leads to secondary hyperparathyroidism and increased risk for fractures, whereas its association with cortical porosity is less clear. We tested (i) whether serum 25-hydroxyvitamin D (25(OH)D) and PTH were associated with cortical porosity and (ii) whether the associations of 25(OH)D) and PTH with fracture risk are dependent on cortical porosity. This case-control study included 211 postmenopausal women, 54–94 years old, with prevalent fractures and 232 controls from the Tromsø Study. 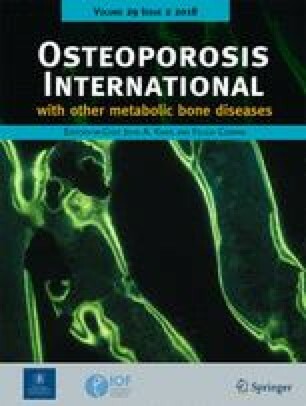 Serum 25(OH)D, PTH, and bone turnover markers (procollagen type I N-terminal propeptide [PINP] and C-terminal cross-linking telopeptide of type I collagen [CTX]) were measured. Femoral subtrochanteric cortical and trabecular parameters were quantified using computed tomography, and femoral neck areal bone mineral density (FN aBMD) was quantified using dual-energy X-ray absorptiometry. Compared with controls, fracture cases exhibited reduced serum 25(OH)D and increased PTH, PINP, and CTX, increased femoral subtrochanteric cortical porosity, and reduced cortical thickness and FN aBMD (all, p < 0.05). Serum 25(OH)D was not associated with cortical parameters (all, p > 0.10). PTH was associated with increased PINP, CTX, and cortical porosity of the inner transitional zone and reduced trabecular bone volume/tissue volume and FN aBMD (p ranging from 0.003 to 0.054). Decreasing 25(OH)D and increasing PTH were associated with increased odds for fractures, independent of age, height, weight, calcium supplementation, serum calcium, cortical porosity, and thickness. 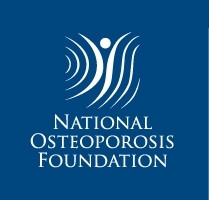 These data suggest that serum PTH, not 25(OH)D, is associated with increased intracortical bone turnover resulting in trabecularisation of the inner cortical bone; nevertheless, decreasing 25(OH)D) and increasing PTH are associated with fracture risk, independent of cortical porosity and thickness. The authors would like to acknowledge the Tromsø Study which provided access to data, staff at the Department of Research at the University Hospital of North Norway (UNN) who recruited women, staff at the Department of Radiology and Department of Radiation, UNN, who scanned the patients and organised the radiation procedures and the CT images, and Strax Corp., Melbourne, which analysed the CT images. The North Norwegian Health Authorities funded the study (ID 5645/SFP1002-11, ID 9167/SFP1090-13, ID 9168/SFP1135-13, ID 10295/SFP1206-14, ID 12156/HNF1386-17), but had no role in the design and conduct of the study; in the collection, analyses, and interpretation of the data; or in the preparation, review, or approval of the manuscript. All participants provided written informed consent; the study was approved by the Regional Committee of Research Ethics and was conducted in accordance with the World Medical Association Declaration of Helsinki.